soil in an area has a direct effect on the plant and animal life there. Ten tons of topsoil spread evenly over one hectare of land comes out to be as thick as one Euro coin. A fully functional soil holds 3750 tons of water per hectare, thus reducing the risk of floods. It holds pollutants to a certain extent. 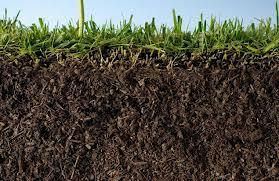 Soil stores around 10% of the emissions of carbon dioxide. Soil makes up the outermost layer of our planet and is formed from rocks and decaying plants and animals. Soil has varying amounts of organic matter (living and dead organisms), minerals, and nutrients. Ten tonnes of topsoil spread evenly over a hectare is only as thick as a one Euro coin. In some cases, 5 tonnes of animal life can live in one hectare of soil. Earthworms digest organic matter, recycle nutrients, and make the surface soil richer. Roots loosen the soil, allowing oxygen to penetrate. This benefits animals living in the soil. They also hold soil together and help prevent erosion. Soil scientists have identified over 10,000 different types of soil in Europe. Scientists have found 10,000 types of soil in Europe and about 70,000 types of soil in the United States. 75% of the earth's crust is composed of silica and oxygen. Soil is a non-renewable natural resource. This should make us think of how much we value this resource. Damage to the soil can disturb nature's balance and prove a threat to life.